Baby Fox got a camera for Christmas, yep a real honest to goodness camera, none of those kids cameras. 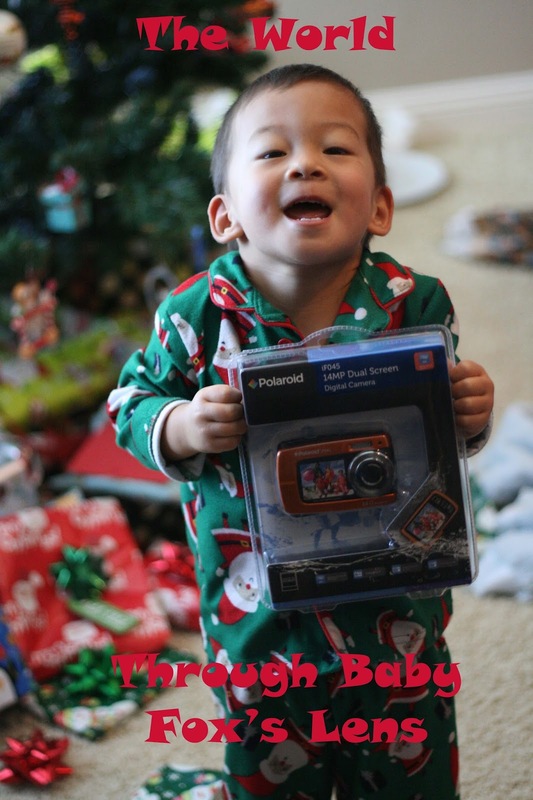 We didn't think he would go for that, so we got him a real camera, and it happened to come in orange (his favorite color), double bonus. Here are a few pictures that I took off of his camera, so appropriate for a 3 year old. Future photographer! I love seeing the things he captures thru his little eyes. Too cute. Matthew takes my iPhone and just goes to town taking pictures, and most of the time, his little finger is in the way too! LOL.